C-DOT fibre Fault Localization System (FFLS) detects and locate fibre fault (fibre cut or removal of connector) along with its overlay of fault location (lat., long.) on GIS Map (private or public) taking satellite imagery as background. 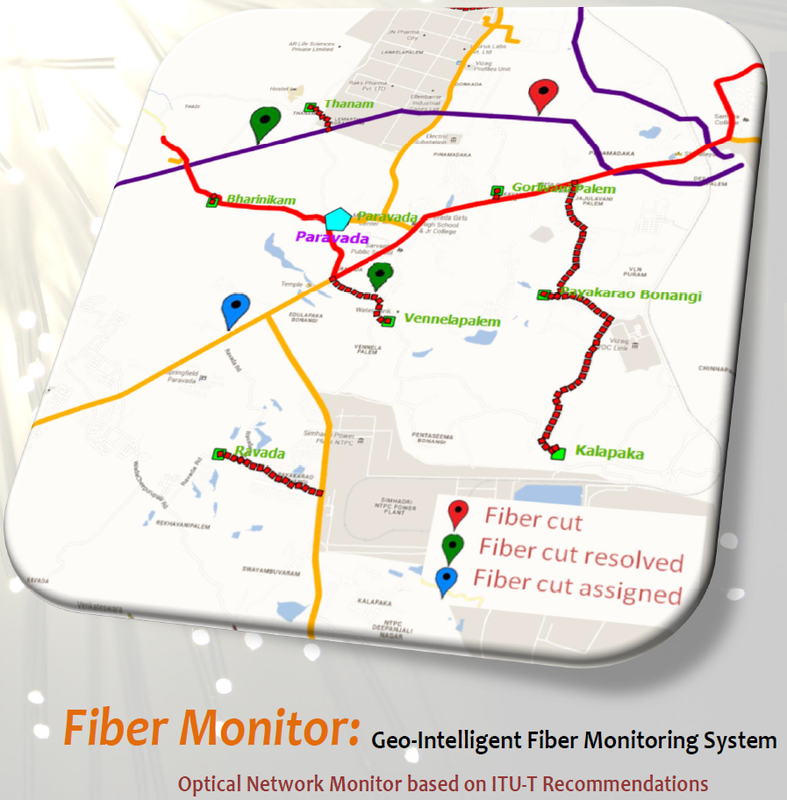 FFLS for a specific fibre based technology, utilizes deployed network (Central Office (CO) and Customer Premise Equipment (CPE) as topological nodes along with its NMS), considering technology specific parameters e.g. link budget and ranging along with its physical coverage. Currently FFLS runs on C-DOT GPON; however it can be customized with other third party GPON systems or optical communication technologies. FFLS is combination of Hardware and Software Solution. The Hardware need to be installed at every Central Office (i.e. C-DOT GPON OLT) and Software will be installed at NOC integrated with GPON NMS. • Aegis Graham Bell Award, 2016 in Innovative Managed Service category. • Patent has been filled across multiple countries: USA (US 15/524,973) & India (1283/DEL/2015).